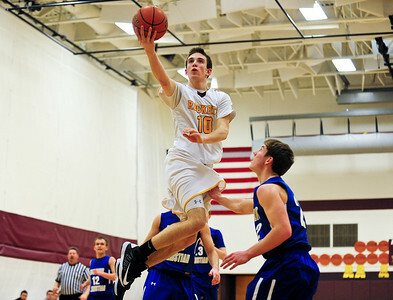 Josh Peckler - Jpeckler@shawmedia.com Richmond-Burton's Sam Kaufman goes up for a lay up in front of Rockford Christian defenders during the second quarter at Richmond-Burton High School Friday, January 18, 2013. 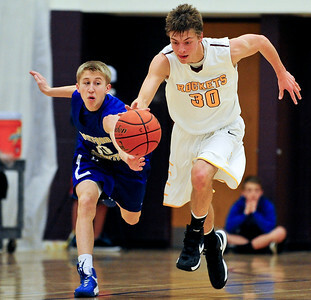 Josh Peckler - Jpeckler@shawmedia.com Richmond-Burton's Michael Kaska (30) and Rockford Christian's Chase Gould chase down a loose ball during the second quarter at Richmond-Burton High School Friday, January 18, 2013. 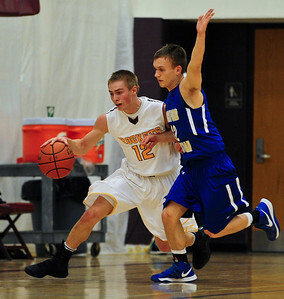 Josh Peckler - Jpeckler@shawmedia.com Richmond-Burton's Chris Vlasak dribbles the ball while being defended by Rockford Christian's Nathan Hultman during the first quarter at Richmond-Burton High School Friday, January 18, 2013. 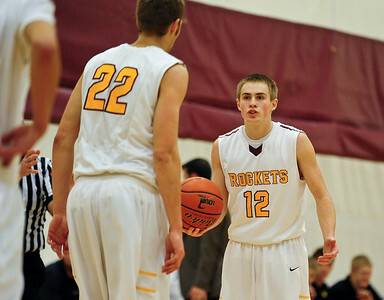 Josh Peckler - Jpeckler@shawmedia.com Richmond-Burton's Chris Vlasak questions a referee after he was called for traveling during the first quarter at Richmond-Burton High School Friday, January 18, 2013. 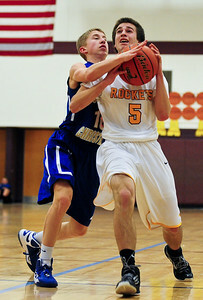 Josh Peckler - Jpeckler@shawmedia.com Richmond-Burton's Chris Vlasak looses the ball while being guarded by three Rockford Christian defenders during the second quarter at Richmond-Burton High School Friday, January 18, 2013. 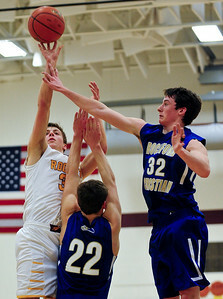 Josh Peckler - Jpeckler@shawmedia.com Richmond-Burton's Michael Kaska (30) goes up for a shot while being guarded by Rockford Christian's Aaron Williams (22) and Alec Johnson during the first quarter at Richmond-Burton High School Friday, January 18, 2013. 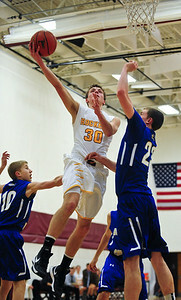 Josh Peckler - Jpeckler@shawmedia.com Richmond-Burton's Brian Wells (5) is fouled by Rockford Christian's Chase Gould while going up for a layup during the second quarter at Richmond-Burton High School Friday, January 18, 2013. 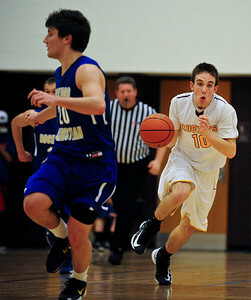 Josh Peckler - Jpeckler@shawmedia.com Richmond-Burton's Sam Kaufman dribbles the ball down court against Rockford Christian's during the second quarter at Richmond-Burton High School Friday, January 18, 2013. 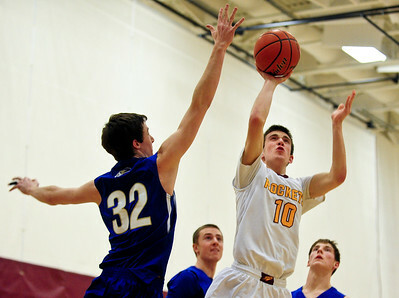 Josh Peckler - Jpeckler@shawmedia.com Richmond-Burton's Sam Kaufman goes up for a shot in front of Rockford Christian's Alec Johnson during the second quarter at Richmond-Burton High School Friday, January 18, 2013. 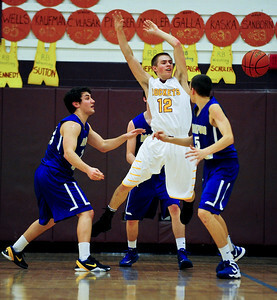 Richmond-Burton's Sam Kaufman goes up for a lay up in front of Rockford Christian defenders during the second quarter at Richmond-Burton High School Friday, January 18, 2013.